Brazilian Jiu Jitsu reverse triangle demo with Charles Cherry and Matt Brannon. Where your head goes, your body follows. Control the head so your opponent can’t posture up. As soon as you get an arm in and an arm out, grab that head. Notice how Matt coughs when Rob lets him out of the triangle… the sign of a tight squeeze. 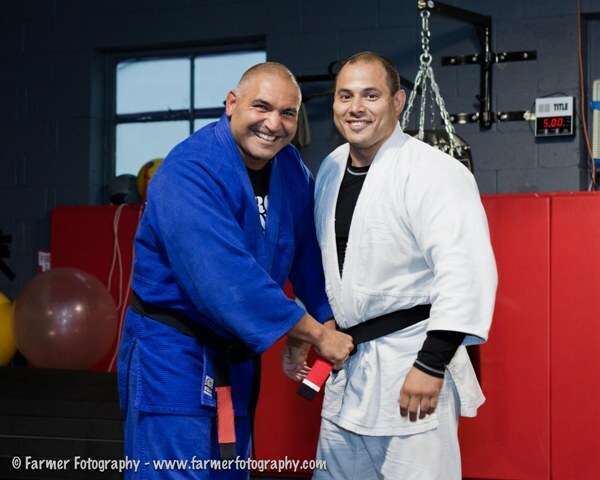 On June 22, 2010, Carlos Catania promoted longtime student of ten years, Anthony Argyros, to the rank of BJJ Black Belt at Cannonball Gym of Pompton Lakes, NJ. Anthony is the first student to receive each BJJ belt promotion from Carlos, beginning in November 2001 (Blue Belt) and subsequently in March 2006 (Purple Belt), November 2009 (Brown Belt), and June 2010 (Black Belt). Anthony was awarded “NAGA Grappler of the Decade 2000-2009” in March 2010 and will receive Gladiator Magazine’s “2010 Golden Gladiator” Award on August 7th at the Wildwood Convention Center at the annual NAGA “Battle at the Beach” tournament. Go to www.nagafighter.com and read “NAGA News” for more on this event. 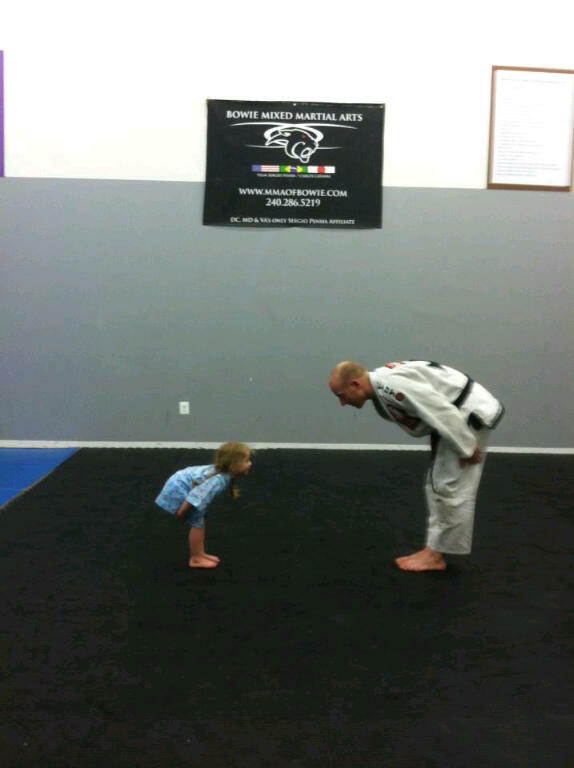 me the Martial Art of Brazilian Jiu-Jitsu.